Good day mate! 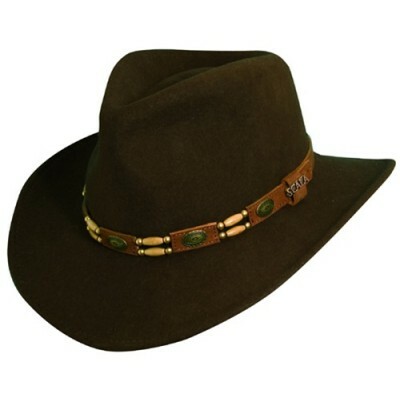 You will be every bit of the Aussie with our Scala Crushable Outback Hat with Conchos! 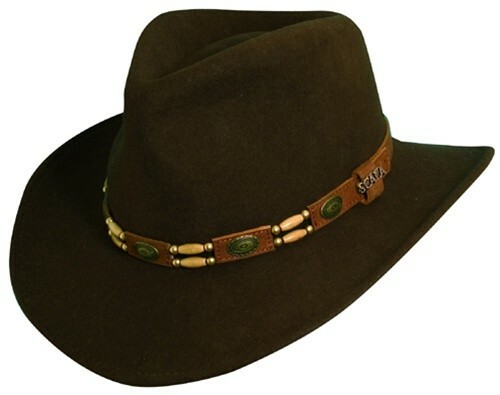 This adventurous hat features a water repellant finish and crushable design so you can wear it in any weather condition. A leather band features colorful beads and concho shells.